1. 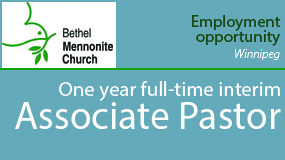 How much does your congregation support Mennonite Central Committee (MCC)? Has this changed over the years? What MCC projects have you participated in? How satisfied are the people of your congregation with the mission and program emphases of MCC? 2. The various Mennonite churches that support MCC are theologically diverse. Why do you think we have been able to work together in spite of our differences for so many years? 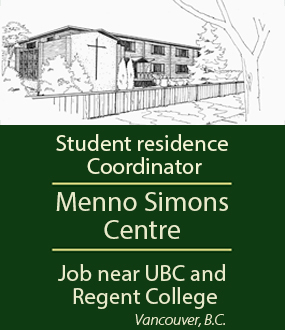 Which MCC programs do conservative Mennonites support? How much has an emphasis on relief work acted as a unifying force? 3. Zemedkun Baykeda from Ethiopia would like MCC to work at meeting spiritual, as well as physical, needs, while others are talking about a stronger relationship between MCC and Mennonite World Conference. What are the advantages and disadvantages of more emphasis on serving spiritual needs? What might a global organization look like? 4. What are your hopes and fears for MCC in the future? Many donations from Haiti came from outside of Mennonite congregations. If this is a trend, how might that change MCC? If the goal is to grow capacity in less-developed countries, should MCC continue to collect and ship material aid, such as relief kits? Who should ultimately decide what the goals and mandate of MCC should be?